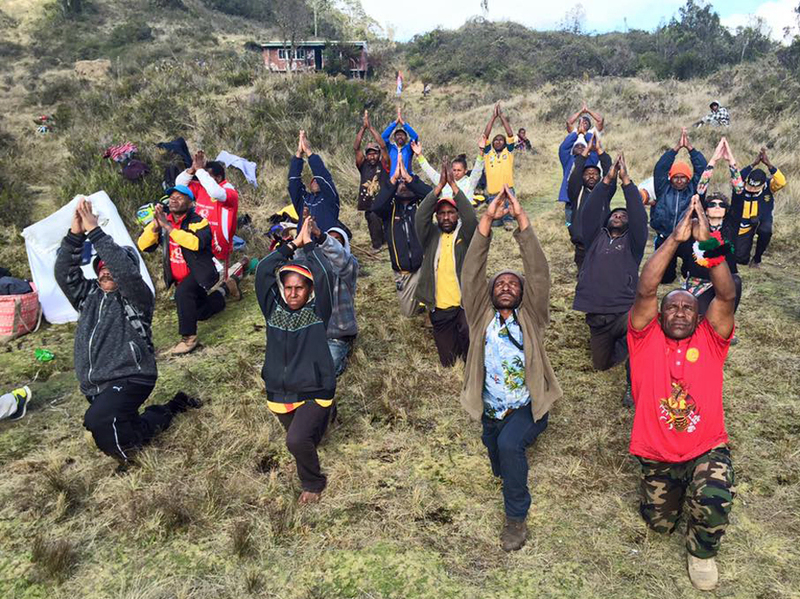 There may not be the lycra leggings or mats, but those behind a growing grassroots yoga campaign in Papua New Guinea say its practice is changing lives, including those of hardened criminals. Inmates in Port Moresby’s Bomana prison do yoga. A lot of times the wardens say: ‘On the days you guys come, it’s so more quieter, there’s no fights during meals. And you know, people sleep better’. Port Moresby is ranked as one of the world’s most dangerous cities, where high levels of unemployment can often push youth living in the city’s settlements to a life of crime. But some of these youth, behind bars in the city’s Bomana prison, are propelling PNG’s yoga revolution. Nineteen-year-old convicted murderer Gordon arrived at Bomana prison when he was about 17 years of age. He is now learning to be a yoga instructor and said that of the 70 juveniles in the prison, 20 do yoga regularly. When I came in I was aggressive. When I came to practise yoga I realised that I found the real me, the real potential that I have. 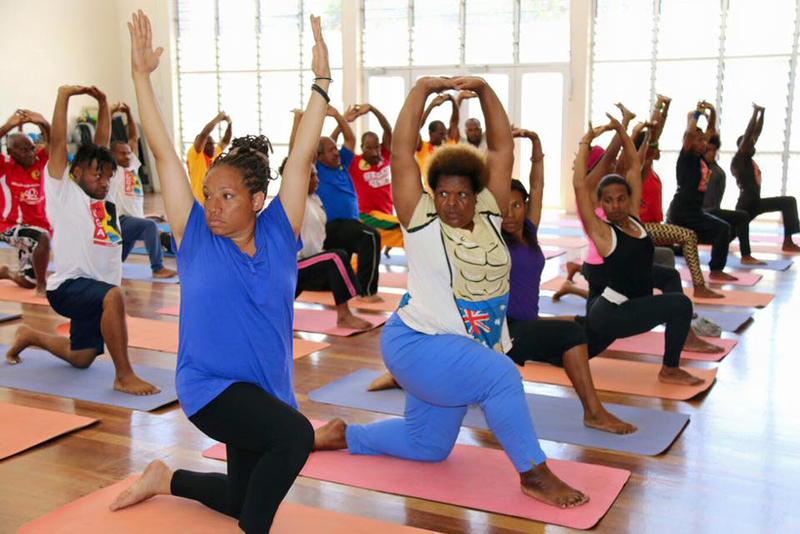 The Yoga Unites PNG group, established and run by Fazilah Bazari (pictured), holds classes in Bomana for its young inmates in one of the nation’s harshest prisons. “I want to lead the change in the prison,” said Gordon of his appreciation of yoga. Yoga Unites PNG has also taken its classes to those living in the often dangerous 8 Mile squatters’ settlement on the outskirts of the capital. Before I took up yoga, everyone in my community saw me as a dropout. But now I’m inspiring others, and my relatives and friends see me as an agent of change. 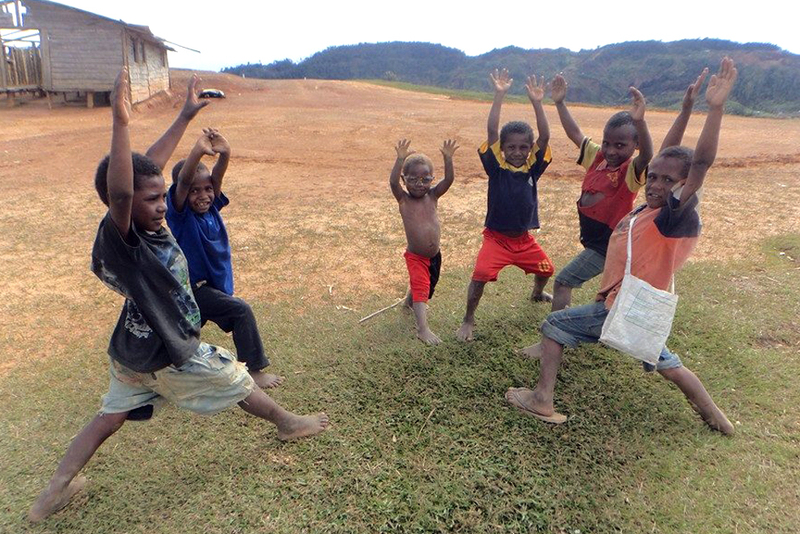 It’s common in PNG for young people to witness violence. Young people especially can come and improve their health and fitness, but they can also release the bad vibes. 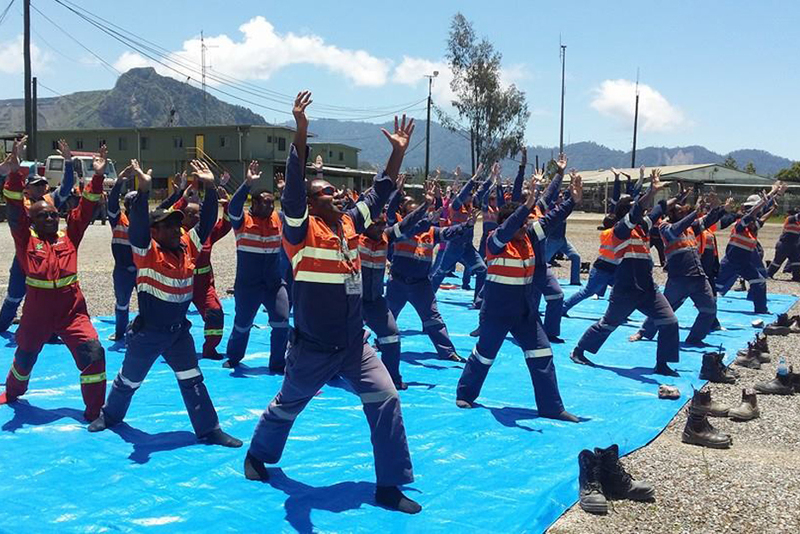 Yoga has reached Morobe towns, Porgora mine workers, and brought sun salutations on the country’s highest point, Mt Wilhelm in Chimbu Province. The National Capital District’s often outspoken Governor, Powes Parkop, became a yoga enthusiast in the past year. Governor Parkop has been self-funding his Walk For Life campaign and assisting the Yoga Unites PNG team. But with PNG facing a non-communicable disease epidemic, he’s calling on the national government to provide financial support. Our people are dying. Young lives are shorter. We are failing the next generation and we can’t build the nation to be prosperous and well if we are sick, unfit and unhealthy. It deals with the mindset, it deals with anger, it deals with the type of negative mindsets that people have. It builds mental wellness. The doctor gave me an option: to get all these pills, or lose weight and become fit and well. For me, I can’t believe that I — one year ago, one and a half years ago — would be doing yoga. A frightening prognosis by his doctor first drove Governor Parkop to turn to walking, and then yoga, where he has experienced the benefits first hand. His Walk For Life now has hundreds of people joining him each weekend for a walk, which begins with the obligatory group yoga stretch.